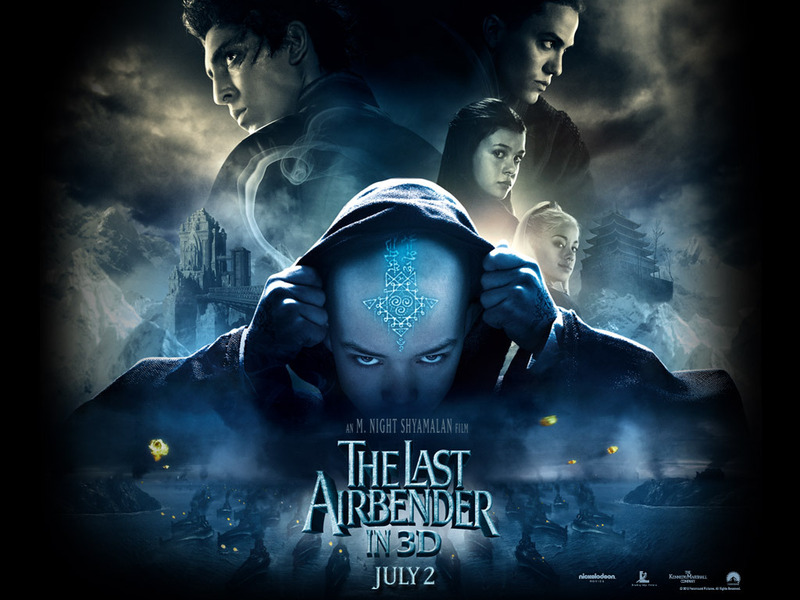 After going against my better judgement and reading a few reviews, I went to see The Last Airbender. I wanted to judge for myself. The first thing I noticed was that the audience had more adults than eight year old children, something M. Night should keep in mind for the future. The odd pronunciation of the character’s names caught my attention. What’s wrong with the way the cartoon characters pronounced them? Though I was pleased that a few of the character’s names were pronounced correctly, Ozai, Zhao, Katara & Zuko, which held my annoyance at bay longer. It was very clear from the start of the movie that the actors weren’t absolutely comfortable in their new roles. This made them sound awkward and robotic at times as if they were just reading their lines from a cue card. They even appeared unsure in their execution of the martial arts movements. Only two of the actors’ martial skills were marginally better though there is still room for growth. One of the beloved aspects of the cartoon is Sokka‘s natural wit, which was sorely missing in this live action movie. The characters lack of growth and development as the movie progressed was another sore spot for me and I wondered if M. Night really did his research or prepared for this movie. The beautiful and breathtaking scenery couldn’t make up for any of what this movie lacked. Yes I do agree with most critics, the movie could have been just a tad longer which might have made a difference, but I had no problem with the actors that were cast as I thought everyone fit their part. As a student of tai chi, I was eager for the bending martial arts, such as water bending Tai Chi, earth bending Hung Gar, fire bending Northern Shaolin kung fu, and air bending Ba Gua, but each art needed to be executed with more precision. Nevertheless, I still enjoyed the martial arts. This is not the first big budget movie where the actors stumbled around dialogue and movements. Though in subsequent sequels of these movies, the actors did get better. I expect if there are sequels for The Last Airbender, the actors will improve as they become more familiar with their respective roles. I believe there is room to grow for all of them. By the end of the movie, I found myself cheering for M. Overall, he didn’t disappoint me the way he did with The Village. I do suggest, however, that a scriptwriting session with the creators of the cartoon, Bryan Konietzko and Mike DiMartino might be necessary, so any future film script(s) might just live up to the audience’s expectations. I hope M will not see it fit to leave out any more important aspects of the story like he did in this movie. The formula is already in place, all M has to do is simply FOLLOW. This entry was posted in Movies and tagged Avatar: The Last Airbender, BlogPress, Bryan Konietzko, IPad, List of Avatar: The Last Airbender characters, Northern Shaolin (martial art), Regal Cinema, Sokka. Bookmark the permalink. Oh absolutely see the movie first before you rent the cartoons. That way you won't be busy comparing and you can be pleasantly surprised. I would love to hear your thoughts after you've seen the movie. Thanks for the review! I've only seen one of the cartoons as we don't have cable. Would you recommend we start with the movie so we're pleasantly surprised when we can finally rent the cartoon from the library?